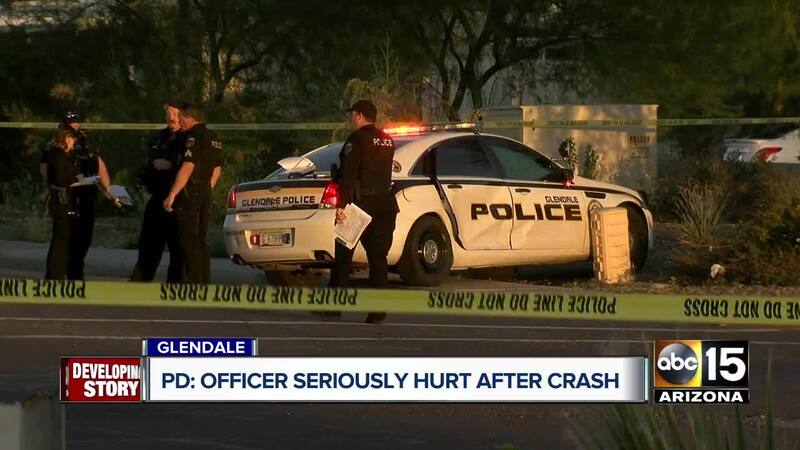 GLENDALE, AZ — A Glendale police officer is recovering after his vehicle was hit by another car Sunday night. The incident happened around 5 p.m. near 59th and Missouri avenues, according to Glendale police. Authorities said the officer was responding to a crash that turned into a fight with his emergency lights on when another passing vehicle going north on 59th Avenue crashed into the passenger side of his patrol car. The officer was transported to the hospital with serious but non-life threatening injuries, police said. Stay with ABC15 News for updates.